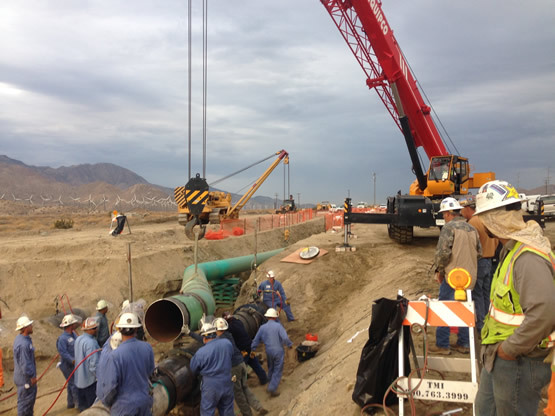 EEI’s experienced personnel are people who have worked in the natural gas, electric power and the petroleum industry. EEI can manage or assist in the management of small or large scale projects, requiring extensive resources. EEI has been involved in engineering and construction projects extensively for over 16 years. EEI is well positioned to take on large and diverse projects with a high degree of difficulty. EEI is licensed as a General Contractor in the state of California and is able to provide turnkey services to our clients. Generally, EEI does almost all of its engineering and project management by utilizing its internal resources, thus retain a high degree of quality control and accountability. 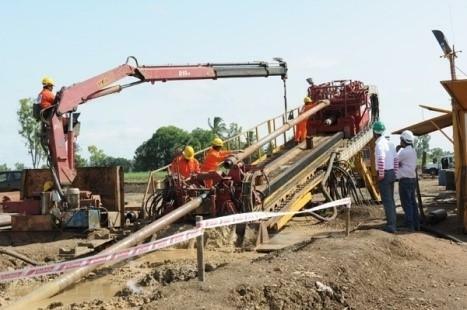 Time and again, EEI has been able to meet a very high production demand on engineering and tight construction timelines by its ability to quickly handle rising resource needs. EEI is able to handle these situations by our ability to accurately forecast manpower needs and to have the required trained personnel ready ahead of time. Effective project management is as much about having the depth in the qualified resources, as much as it is about deployment of timely resources. EEI’s Project Managers will provide services for all of your T&D installation and maintenance of low, medium, and high voltage needs from estimating to construction. We have the ability to manage Fiber Optic projects associated with overhead and underground power circuits. EEI Project Managers are experienced with OPGW, loose tube, multimode and other fiber optic cables. Our pool of Project Managers are also ready to assist you with the construction and maintenance of your Renewable Energy projects. Many of our key personnel are trained in both natural gas and electric power industries. The ability to have dual trained individuals allows EEI to handle a diverse range of projects with a minimum of resources. These indirect savings are passed on to the client. The most important asset that we possess is our veteran Project Managers (PMs). Our ability to tap into the experience of these resources allows EEI to stay in the forefront of critical projects nationwide. EEI also uses an internal project management system that is a based on robust relational database software. Through this sophisticated system, EEI can manage the progress and timely reporting of production progress on a range of metrics. In past years, clients have placed total confidence in EEI’s ability to manage large high profile projects. For example, EEI is currently working with the High Speed Rail project in California to relocate the majority of natural gas and electric distribution facilities to allow the special tracks to be constructed for Phase 1. The following two multi-year major projects are indicative of the confidence that clients have placed in EEI. 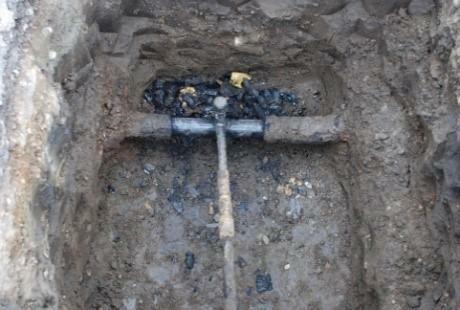 Gas copper services were installed within the PG&E gas distribution system from the 1930’s to late 1960’s. Beginning in the 1930’s and continuing into the 60’s, many copper pipes were utilized in lieu of steel pipes for gas service installations. Copper pipes were installed initially because at the time they were the best solution against external corrosive elements. Copper service pipes can be found to be either wholly installed by itself or inserted into the existing steel pipe. Over time, there have been leakages as a result of internal corrosion and external deterioration. 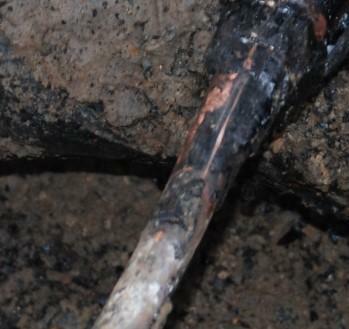 Copper services had been replaced as a precautionary measure when identified with other projects in the same work area. In 2006, Energy Experts International (EEI) was contracted by PG&E to locate all the copper services by searching over 50,000 distribution maps. The process took almost 18 months to complete the review and required a stringent QA/QC process. The data was then catalogued and sorted into a database. 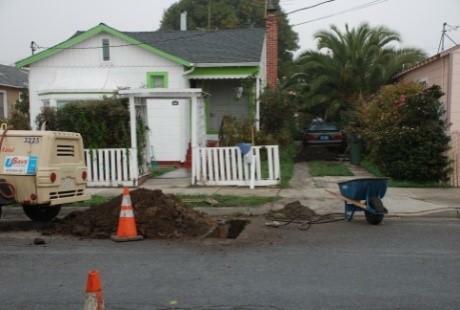 In 2007 PG&E conducted a full assessment and developed a plan for the replacement of over 40,000 copper services. The Copper Service Replacement Program (CSRP) was launched in 2008 as a 6 year program. The goal is to replace approximately 6,500 copper services per year. To manage this aggressive replacement program, EEI was contracted to manage the entire program and to act as a Project Management Lead in coordinating the construction schedule and financial management of the program. In addition to the project management aspects of the Program, EEI provided the field inspection and the permit coordination required with city and county entities. For years, gas infrastructure expansion in the 14 counties has been considered largely uneconomic due to their sparse populations and a lack of existing industry. That changed when the $200 million bond package for infrastructure improvement was approved in 1999. .Carolina Power & Light (CP&L) worked with the APEC organization to develop the project plan. Subsequently, Energy Experts International (EEI) provided subject matter experts to assist with the preparations of filings with the State Commission. Once the project was approved by the Commission, EEI continued to support the project engineering and planning for the remainder of the project. In 2000, CP&L became Progress Energy. The 600 miles of transmission pipeline (ranging in size from 4 to 12 inches in diameter) and 250 miles of distribution pipeline (2 to 6 inches in diameter) were constructed in five phases over a period of four years. EEI’s Team assisted in the coordination of construction schedules, project assessment, mitigating various field issues and resolving engineering issues. EEI’s project team was responsible for mitigating (i.e., directional boring/marine crossings) of the numerous waters and wetlands crossing, obtaining rights-of-ways and permits for the required work as well as the pipeline routing and meter & regulation station sitings Finally, EEI also provided pipeline inspection services for the steel and PE pipeline systems. In 2004, Progress Energy sold the pipeline system supplied to the APEC to Piedmont Natural Gas.